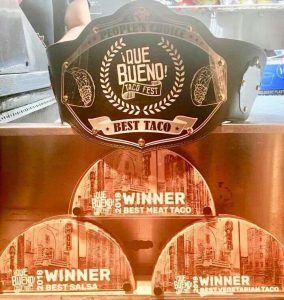 Taquitos Mi Tierra will be serving their award winning tacos and tortas from 5-9 tonight. Beer Yoga is tonight, come join us for some fun and fitness! Class starts at 6 pm and is led by the one and only Ashley Chapa. See yall at the taproom!